I love France and I'm a huge fan of Ina Garten; this French, barefoot recipe adapted from her cookbook 'Barefoot in Paris' is a perfect combination of both! When I prepared this dish for a family gathering a few years ago it was a big hit and it's since become one of my favourite salads. 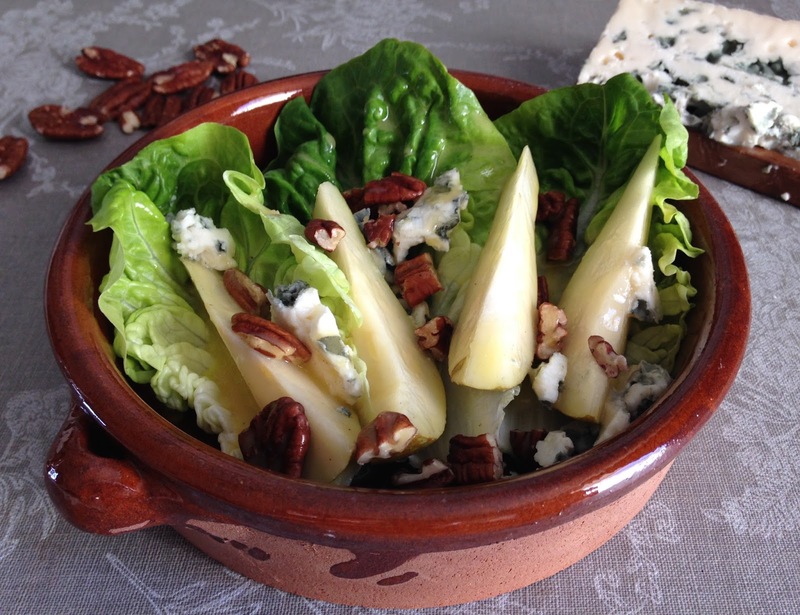 It's impressive enough to serve as a starter, and a perfect Christmas appetiser to feature on the 25th! Place 2 - 3 lettuce leaves on each plate. In a medium bowl, whisk together the vinegar, mustard, egg yolk, salt and pepper. Slowly whisk in the olive oil to make an emulsion. 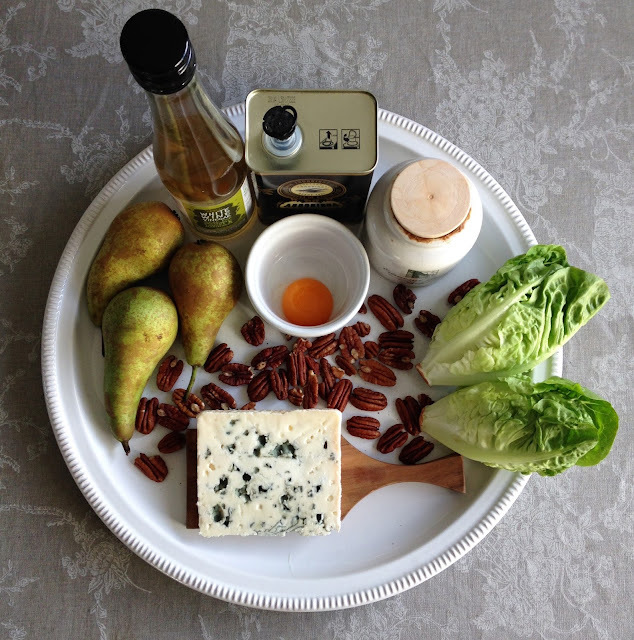 Saturate the pears with some vinaigrette and place on the lettuce. Drizzle the remaining vinaigrette over the lettuce leaves to moisten them. Crumble the Roquefort on top. Sprinkle with pecans and serve at room temperature.